The Rajasthan Public Service Commission has released the RPSC preliminary exam admit cards. The exams are scheduled to be held on Aug 5, 2018. The admit cards were reportedly released yesterday (July 29, 2018) but were temporarily unavailable due to some technical glitches. The website read that it will be shortly updated after solving the problem. Given that, candidates who registered for the exam can now get their admit cards online. The selection process comprises of three stages - a preliminary exam, a main exam and an interview. The first stage of the exam is scheduled for Aug 5, 2018. The total number of available vacancies is 37. Step 2: On the left-hand side of the home page, under Important Links, click on the Admit Card link. Step 3: The admit card link page will appear. Click on the link that reads, Raj.State and Sub.Services Comb.Comp(Pre) Exam (TSP) 2018. Step 4: The brief details will appear in the next screen. Read them. Download the instructions file to upload photo and signature. Step 5: On the right-hand side of the page, click on the link that reads, Get Admit Card. Step 6: A login screen will appear. Enter your credentials in the fields provided. 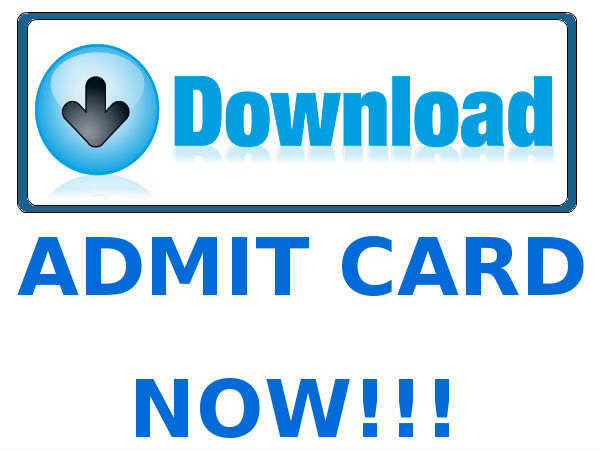 Step 8: Click Get Admit Card and obtain the admit card. Step 9: Save it to your computer and take a printout of it for future use. Click here to read the official notification on the release of the admit card. For queries, candidates may contact the helpline number 0141-2221424/2221425.